Now having let the genie out of the bottle, there’s no saying where Roland will turn next with reboots and reissues. But some people are evidently not content to wait. 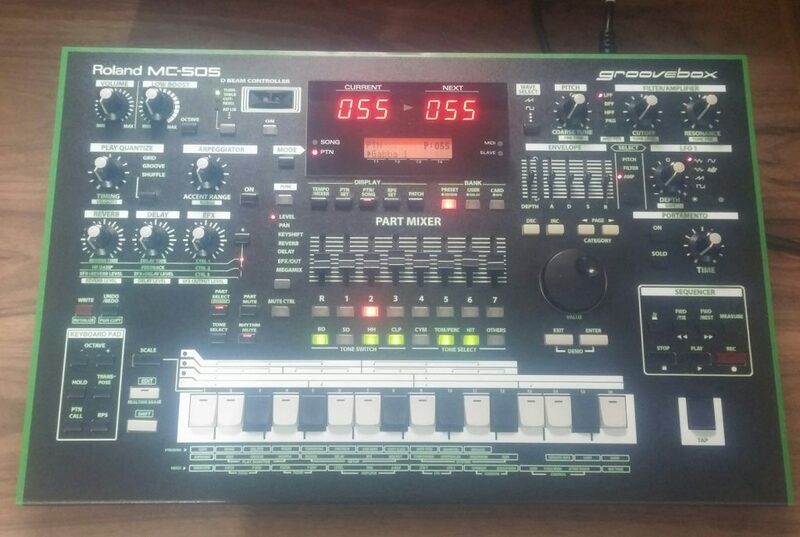 So, via Twitter via Facebook, we see this lovely image of the 1998 Roland MC-505 groovebox, reimagined for people who love that black-with-Matrixsynth green-trim look of the new AIRAs. And… well, it’s kind of hilarious. It definitely cleans up the legibility of the labels. Now, the MC-505 isn’t quite what you’d call a “classic” or “legendary.” But don’t scoff: I know some folks who really love this 90s beast, proof there’s basically a home for anything you put on eBay. When I start this headline with “someone…,” I’m not just aping viral headline style, either. I have no idea who did this. I’m hoping they read CDM. Please, come forward. A groovebox society is a great society. Joining up. Anyway, I love the 90s. Hillary Clinton’s back, and so is the MC-505?